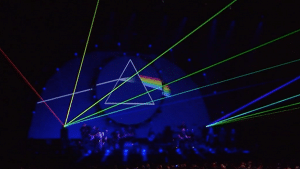 Connecticut Public Television > Inside CPTV > Brit Floyd – The World’s Greatest Pink Floyd Show – Live! Brit Floyd – The World’s Greatest Pink Floyd Show – Live! Brit Floyd celebrates the amazing musical legacy of Pink Floyd in spectacular fashion in front of sell-out audiences in Liverpool, Red Rocks, and Amsterdam. With state-of-the-art technology, Brit Floyd creates a performance that is as sonically perfect as it is visually awesome. On CPTV: Saturday, January 13, 2018 at 7:30 p.m.